TESIC is our silicon-proven secure IP platform built around proprietary clockless microcontroller core. It allows us to shorten the design time of secure ICs which will directly benefit from its pre-qualified security and outstanding performance. 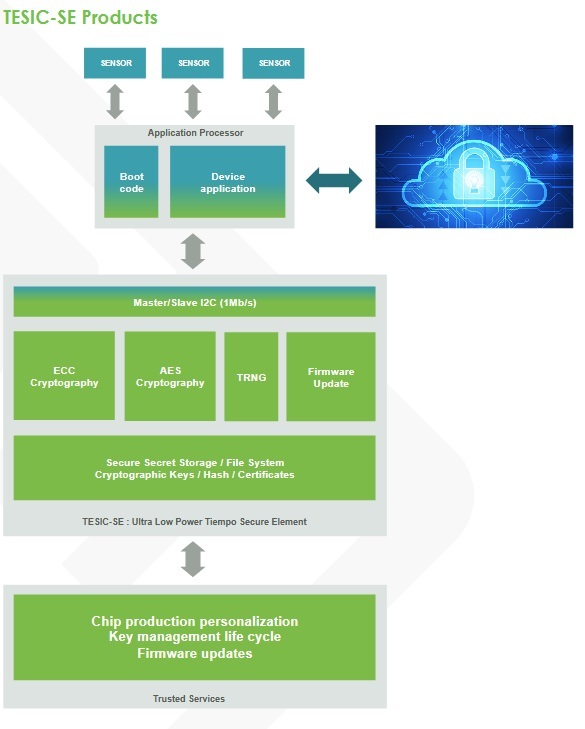 TESIC-SE is targeting secure IoT devices as companion chip or embedded secure element IP. It allows a major security upgrade on existing IoT products. The TESIC-SE secure element family addresses the IoT products having the highest requirements on security and privacy protection. Patented fully asynchronous design technology allows ultra low power modes and fast wake up so that battery-powered devices can operate at the most demanding power conditions.